Be inspired at our AW19 VIP Event. Enjoy a high tea plus catwalk show and panel discussion. 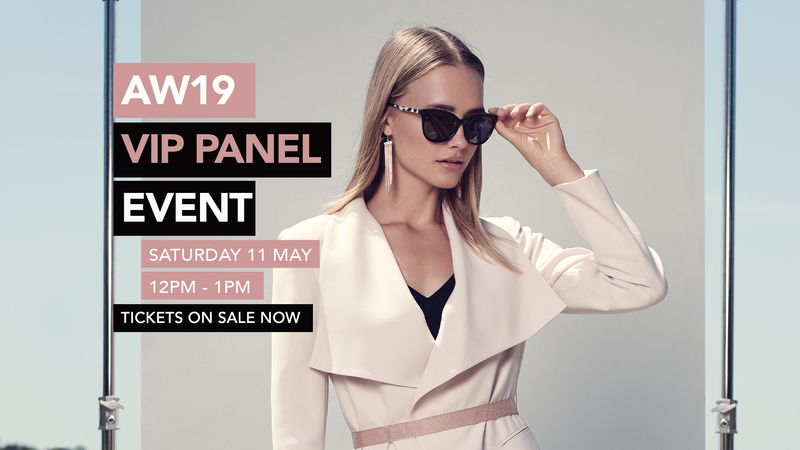 The VIP panel will include our resident stylist, Claire Metcalf, who will showcase the latest AW fashion styles; Ebony Haythornthwaite, from The Visionary Co. and previously The Block, to chat through what's on-trend in Homewares; and Tanya Muia-Petkovic, from Infamous Friends, who will talk about how she balances managing her own small business and bringing up a young family. 100% of funds from ticket sales will be donated to AYLA, a local charity supporting families in need.